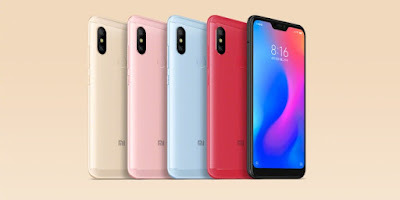 Xiaomi today launched Xiaomi Redmi 6 Pro and Xiaomi Mi Pad 4 in China. Xiaomi Redmi 6 pro comes with Snapdragon 625 processor and 4000mAh Battery. Xiaomi Redmi 6 Pro comes with Metal body. It has a 5.84-inch (2280×1080 pixels) Full HD+ 19:9 Display powered by Octa-Core Snapdragon 625 processor with 3/4GB of RAM and 32/64GB of internal storage which is further expandable with MicroSD card up to 256GB. It has a Dual SIM + Dedicated MicroSD card slot. It runs on Android 8.1 (Oreo) with MIUI 10. On Camera, it has a 12+5MP Dual Rear Camera and 5MP front-facing camera both cameras has support for AI portrait mode can record 1080P Videos, the Rear camera has support for EIS. Redmi 6 Pro comes with Fingerprint Scanner and Face Unlock support. Connectivity options include 4G VoLTE, Wi-Fi 802.11 a/b/g/n, Bluetooth 4.2 Packed with a 4000mAh Battery. 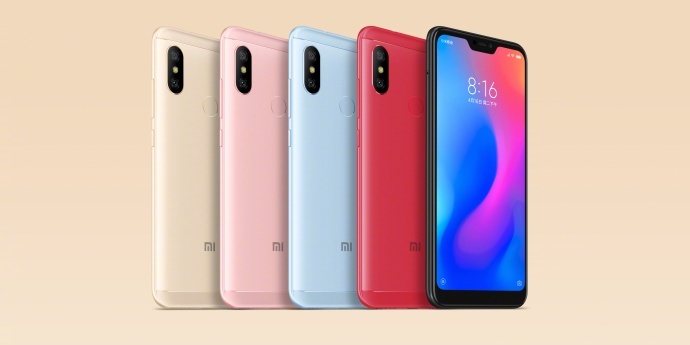 Xiaomi Redmi 6 Pro comes in Rose Gold, Gold, Blue, Black, and Red colors priced at 999 for 3GB with 32GB storage version and 1199 yuan for 4GB RAM with 32GB storage version and 1299 Yuan for 4GB RAM + 64GB Storage.